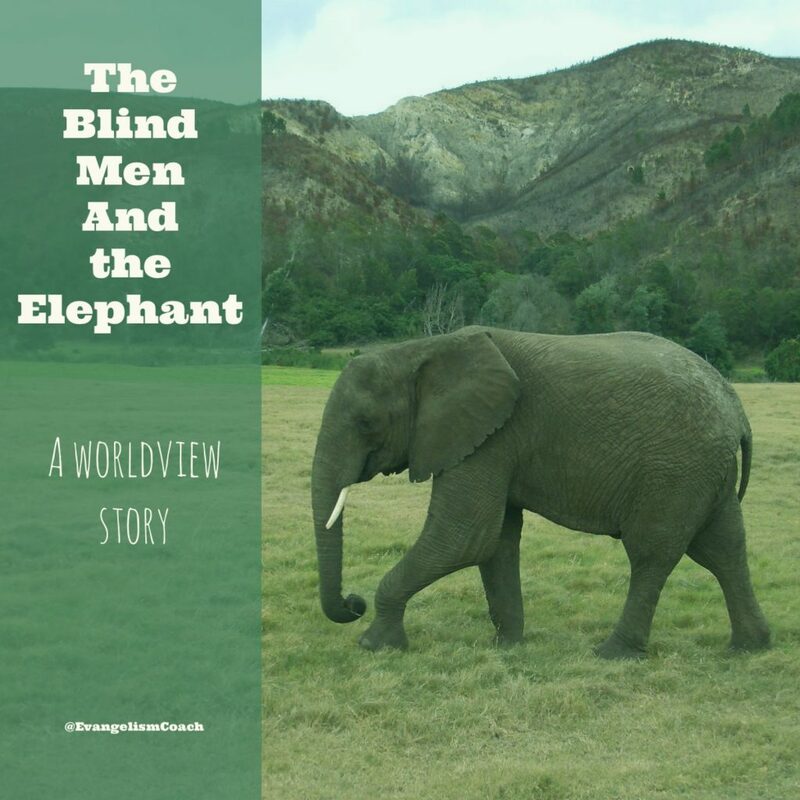 The story of the blind men and the elephant is well known and one that I have encountered often in discussions about faith. It is about three or more blind experiencing just one part of the same elephant and that none of their explanations are complete. American poet John Godfrey Saxe (1816-1887) put it into verse and it is probably this version which is best known today. [Read The Blindmen and the Elephant]. The story occurs in many forms and appears to have Buddhist, Hindu, Islamic and Jain versions. Three to six blind men encounter an elephant. The first touches its trunk and says that an elephant is like a palm tree. Another touches the side and says that an elephant is like a rough wall. Another touches the tail and says that an elephant is like a piece of rope. Each comes into contact with a different part of the elephant and is convinced that their own explanation is correct and that the others are wrong. None of them realize they are all experiencing just one part of the same elephant and that none of their explanations are complete. In the same way, so it is argued, different religions experience different parts of ‘God’ but fail to realize that each is just one part of the complete truth. How does the interpreter know that every religion is just a part of the overall conception of God? In order to know this, one would have to be able to see God in all his fullness (the elephant) and understand how each religion reflects just a part of that complete picture. Have you encountered this illustration in your efforts in personal evangelism? What do you do with it? Hi Chris… Tis an long time since I’ve encountered the blind man and the elephant and had never seen it in poetic form. Also think I encountered it in a world religions class many years ago but it wasn’t carried over to evangelism.